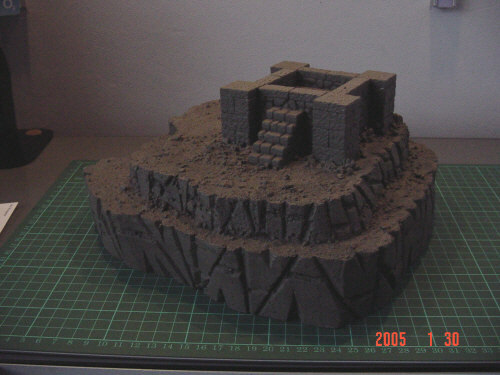 This beacon is being built to be used in fantasy wargames such as Warhammer and The Lord of the Rings. 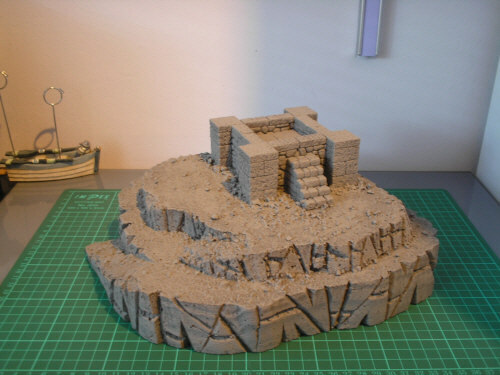 A scenario for using a beacon can be found in the resources section. 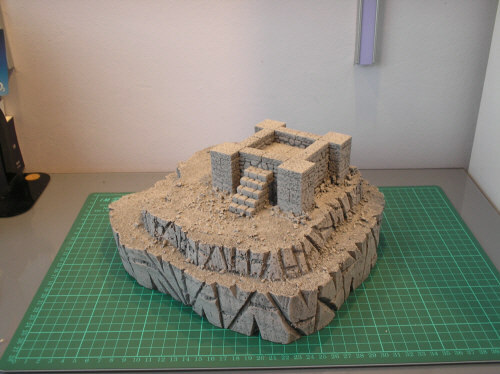 The beacon has been built out of the Dragon's Inn and Fieldstone Molds from Hirst Arts. 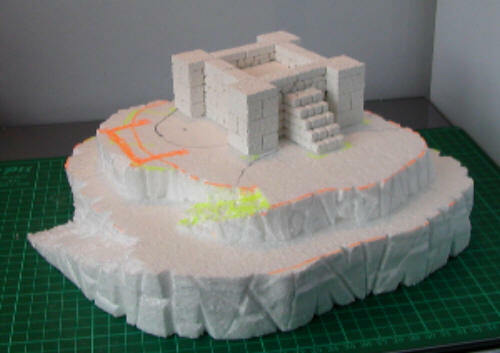 The beacon has then been glued to the top of a hill made from expanded polystyrene. 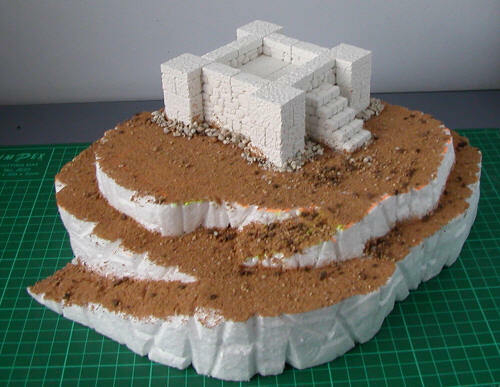 The hill has had modelling sand and Greenscene Rubble Rocks added. The hill has been basecoated with dark grey paint (Dulux Ice Storm 2). 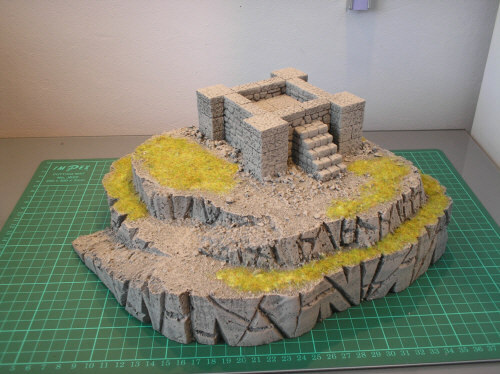 A layer of mid grey paint (Dulux Ice Storm 3) has been drybrushed onto the hill. 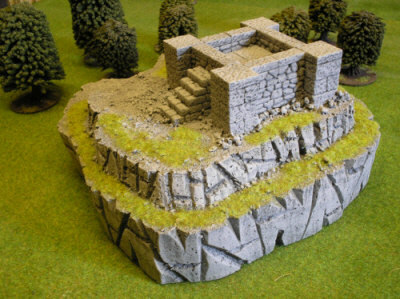 The hill has been highlighted with a drybrush of light grey paint (Dulux Ice Storm 4). 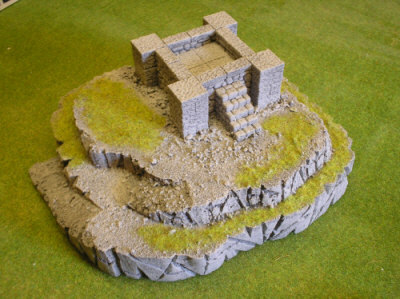 The beacon has been completed by adding static grass in patches around the model.